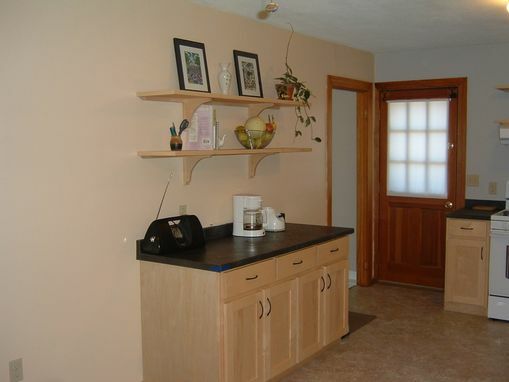 The homeowners had a limited space and budget for the kitchen of their dreams. To keep the project affordable and attractive I suggested open shelving with a curved corner instead of traditional upper cabinets. 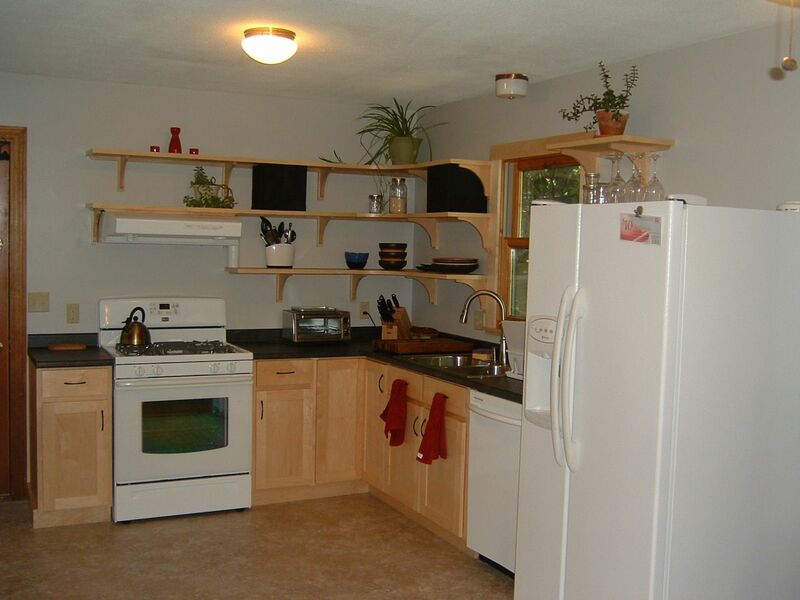 For additional storage space I added a stand alone cabinets with 4 doors and 3 drawers plus 2 open shelves above. 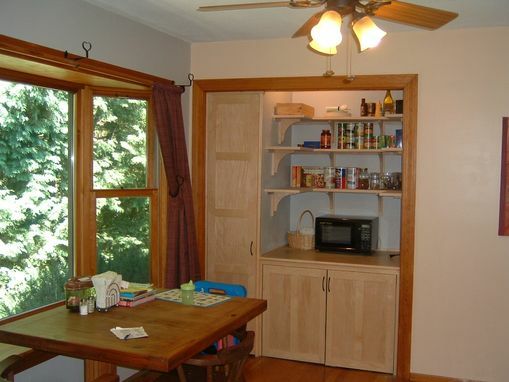 And, transformed a closet into a pantry, with pocket doors and a tall storage cabinet. Primary Maple finished with a clear Whey finish.